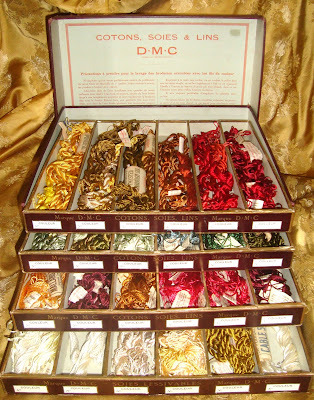 I was delighted to find this wonderful old shop display box of vintage silk skeins, made in France for the British market, most likely from the 1930s or 40s. I can easily imagine it taking pride of place on a shop counter! Most of the skeins are in wonderful condition, bright and unworn by time, some are a bit tangled, but altogether they produce an amazing rainbow of colour. 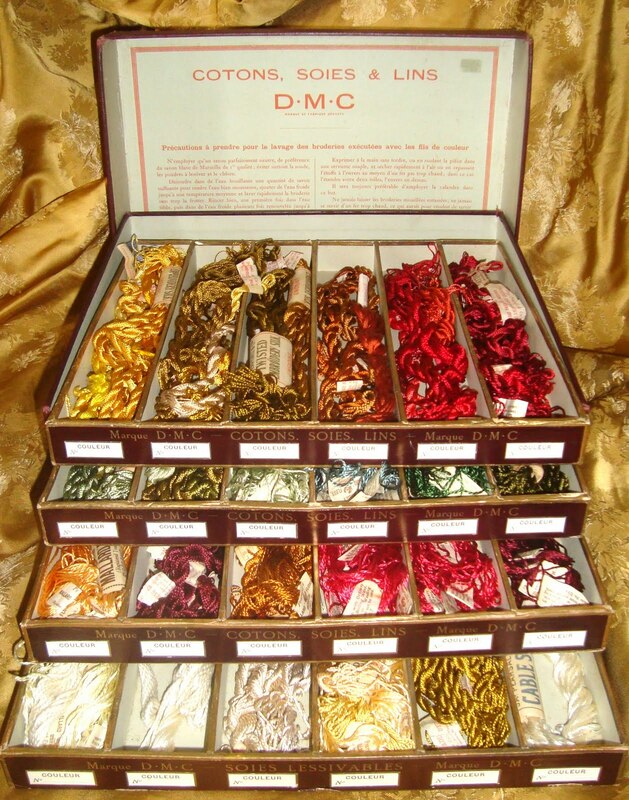 Most have their original paper labels attached with washing details, shade numbers, silk type etc. The box also came with a separate bag stuffed with yet more silk skeins which I have now started to sell in my website and on ebay in small colour-coded batches. These extra skeins were a lucky find as I can now justify keeping the box of silks as it is complete by selling the separate skeins to cover its cost. I am thinking of selling at some textile fairs later this year and think that this and the salesman's silk handkerchief sample book I posted about earlier would be wonderful things to take. gosh ..... i would love to get my hands on some of these.